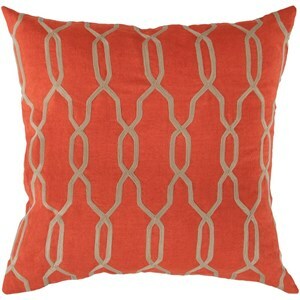 The lovely trellis design paired with bold, expressive rust and beige coloring allows this pillow to immediately become the focal point to your room. 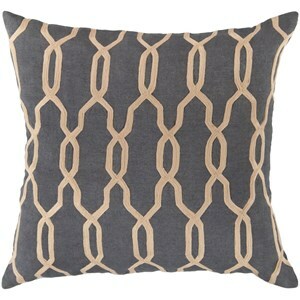 This pillow made in India provides a reliable and affordable solution to updating your home’s decor. Genuinely faultless in aspects of construction and style, this piece embodies impeccable artistry while maintaining principles of affordability and durable design, making it the ideal accent for your décor. 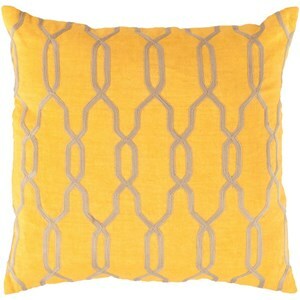 The Gates 22 x 22 x 5 Down Throw Pillow by Surya at Hudson's Furniture in the Tampa, St Petersburg, Orlando, Ormond Beach & Sarasota Florida area. Product availability may vary. Contact us for the most current availability on this product. Browse other items in the Gates collection from Hudson's Furniture in the Tampa, St Petersburg, Orlando, Ormond Beach & Sarasota Florida area.